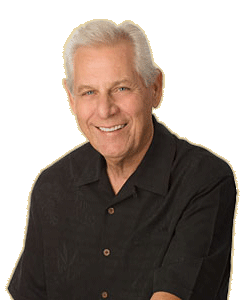 Having reached $1 billion+ in real estate transactions, Bruce Blomgren is widely regarded as the Coachella Valley’s top luxury real estate specialist and has been acknowledged as one of the most successful real estate agents in the United States. Boasting an extensive list of satisfied clientele in prestigious luxury real estate developments from Rancho Mirage to La Quinta such as the Bighorn Golf Club, Mirada Estates, The Reserve Golf Club, The Tradition, Toscana Country Club, Desert Horizons Country Club, Clancy Lane and Rancho La Quinta, Bruce and his staff continue to deliver a level of real estate performance that is nothing short of exceptional. In 2008, Bruce joined Bennion Deville Homes Luxury Homes and Estate Division in Indian Wells and was named as one of the select Executive Luxe Directors for BD Homes Luxe Properties program that focuses on the unique demands of marketing high-end, luxury properties throughout Southern California. In addition to his role as an Executive Luxe Director, Bruce is also a member of the Desert Estates Network, an elite group of top-producing luxury real estate agents in the Coachella Valley. Active in the Desert Resort Communities in which he lives and works, Bruce served as a Director of the California Desert Association of Realtors (CDAR) in Palm Desert, summoned as an expert witness in real estate matters, and served two terms on the Board of Directors at Marywood Country Day School in Rancho Mirage. Quoted regularly in the media and engaged to evaluate real estate marketing plans and feasibility studies, Bruce works closely with local and out-of-state real estate developers who value his take on market conditions and current inventories. Both in and out of the office, Bruce’s renowned knowledge of local and national real estate markets is only exceeded by his friendly and down-to-earth nature. Renowned for his one-on-one brand of attention, Bruce’s ability to identify and fulfill the needs of his clients stems from creating a support staff of professionals who embrace his concepts and standards. 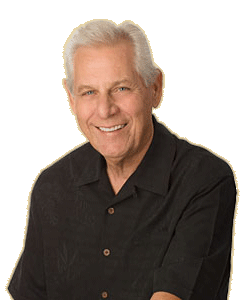 Consistently one of the top-producing agents in the Coachella Valley, Bruce has been recognized in numerous local, regional and national rankings for his success in selling luxury homes throughout the desert resort cities of Rancho Mirage, Palm Desert, Indian Wells and La Quinta. In 2006, Bruce was named by the Wall Street Journal as one of the Top 50 Agents in the nation based on sales production and volume. In 2014 & 2015, Bruce was named as one of the America’s Best Real Estate Agents by Real Trends/Trulia, based on his sales volume and production. This group of highly successful real estate agents represents less than one percent of all real estate practitioners in the United States. I have a unique insight into our local market”.